If you’re going to get an MRI and have a choice, 3.0 T is the gold standard. Why wait? Hear right away after an MRI. Without surgery, there’s no waiting for healing, or hearing downtime, so you can use your audio processor immediately before and after your MRI. With some other cochlear implants, any 3.0 Tesla MRI is much more complicated. 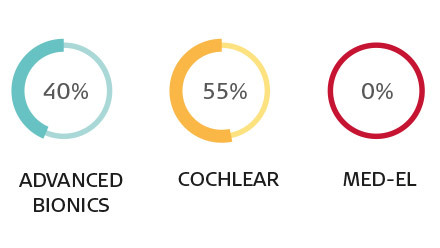 You may need to schedule an X-ray to first identify what type of cochlear implant magnet you have. Next, you’ll need to schedule a surgery to remove the magnet from your cochlear implant. You won’t be able to use your audio processor after the surgery. Then you’ll need to have the MRI scan performed. After your scan, you’ll have to have a new magnet surgically implanted. After the new magnet has been surgically inserted, you should be able to use your audio processor again. Every MED-EL recipient in the study completed their MRI scan or scans without any issue. These recipients had our previous generations of MED-EL implants. Many of the patients with other brands experienced pain, discomfort, or complications; these problems included pain at the implant site, having to stop the MRI, and even the dislocation of the implant magnet. 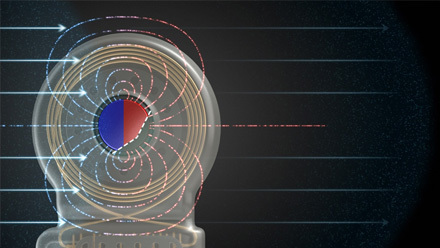 SYNCHRONY’s magnet can freely rotate and self-align inside of its housing, so it’s not adversely affected by the magnetic field of an MRI scan. There’s no torque or “tugging” on the implant, for optimal comfort and security during an MRI.